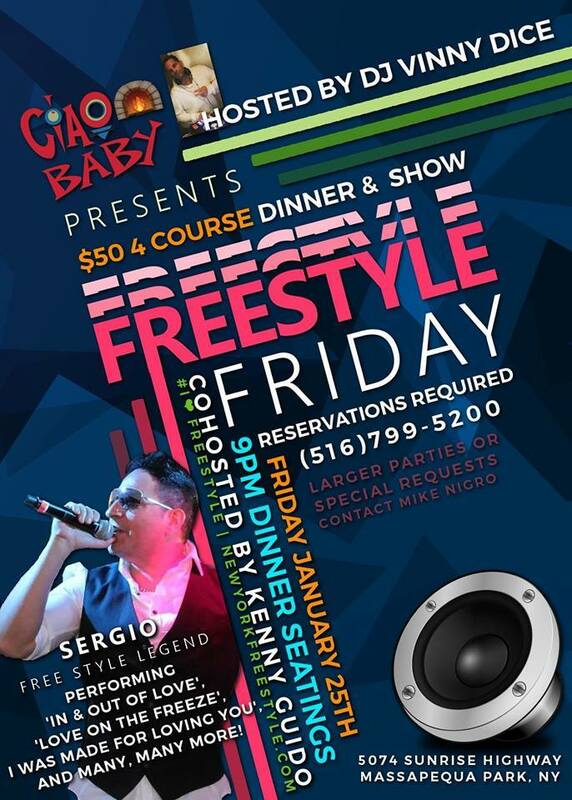 Freestyle Forums: Long island freestyle fans!!! Sergio @ ciao baby!!!! FREE TO BAR OR $50 FOR 4 COURSE MEAL!! !